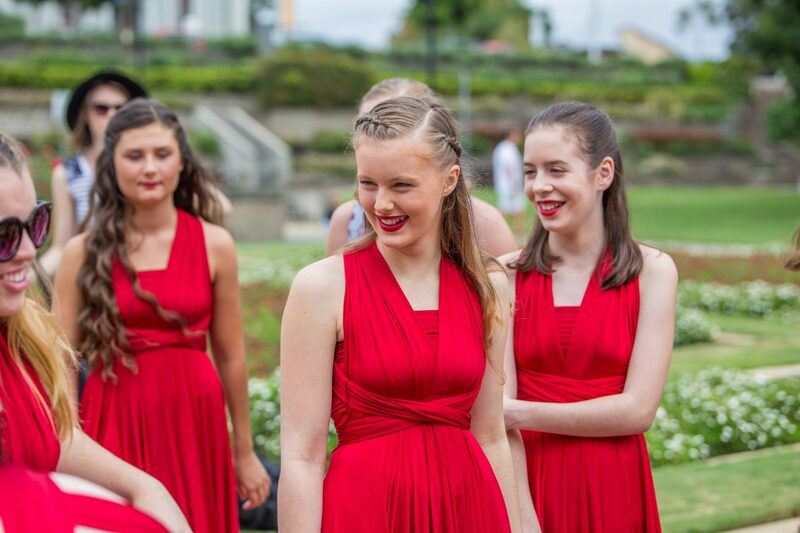 The Waratah Girls’ Junior Choir is a training choir made up of girls from school Year 3 (must turn 8 by the end of Term 1) to Year 6 who have a desire to sing. After a simple “audition” each girl is accepted for a three­‐month probationary period, after which, full membership is granted. Basic training includes pitch recognition, identifying major and minor chords, rhythm notation and note values, aural training, sight singing and the learning of common musical terms. The songs are simple and fun with mostly two­‐part singing encouraged. Simple choreographed movements are introduced to relax and enhance performances. The choir performs approximately 5 times a year between May and December. Junior choir rehearses every Monday during school terms from 5.30pm to 7.00pm at The Grainery Church, 11 Murray Dwyer Circuit, Mayfield West. Parents are required to sign their daughters in on arrival, and please arrive 10 – 15 minutes early for rehearsal in order to collect music, socialise and be ready for a prompt start.